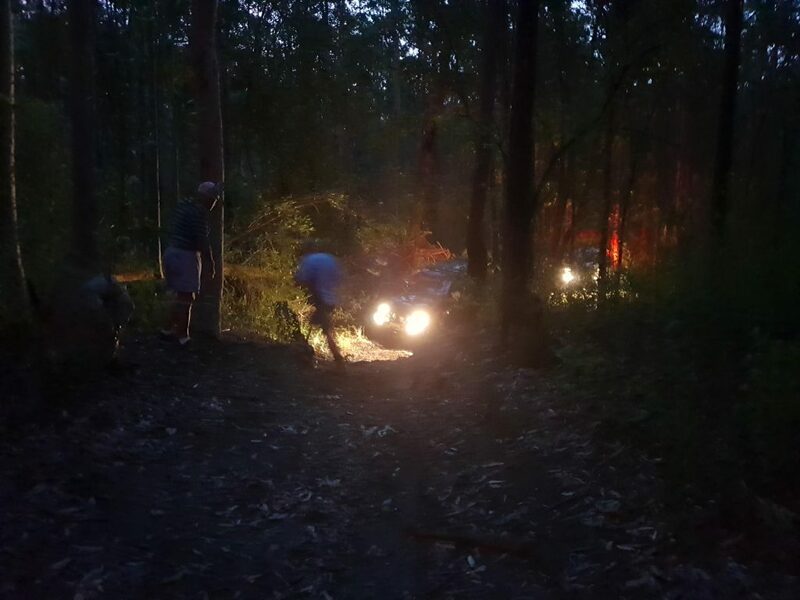 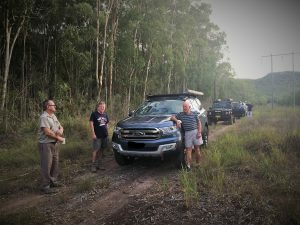 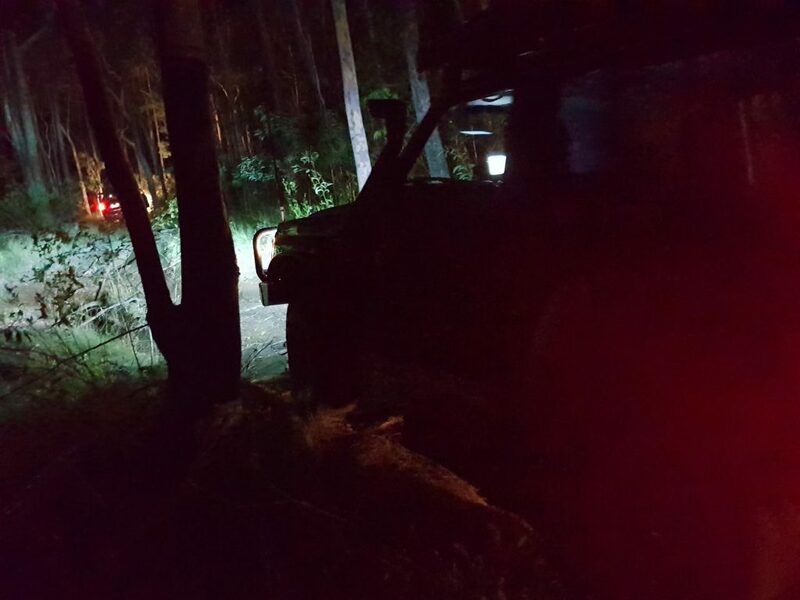 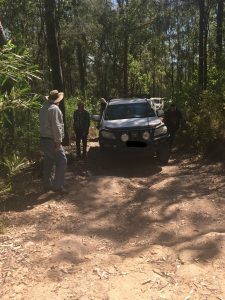 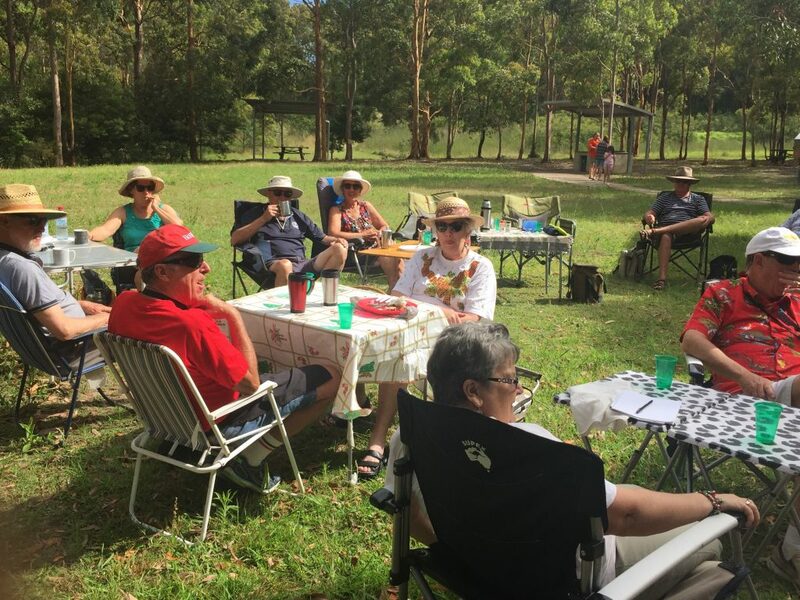 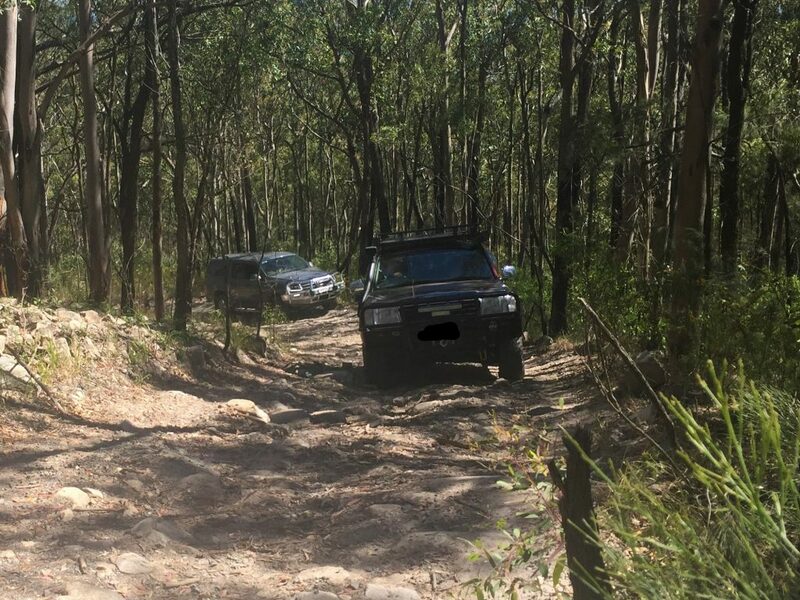 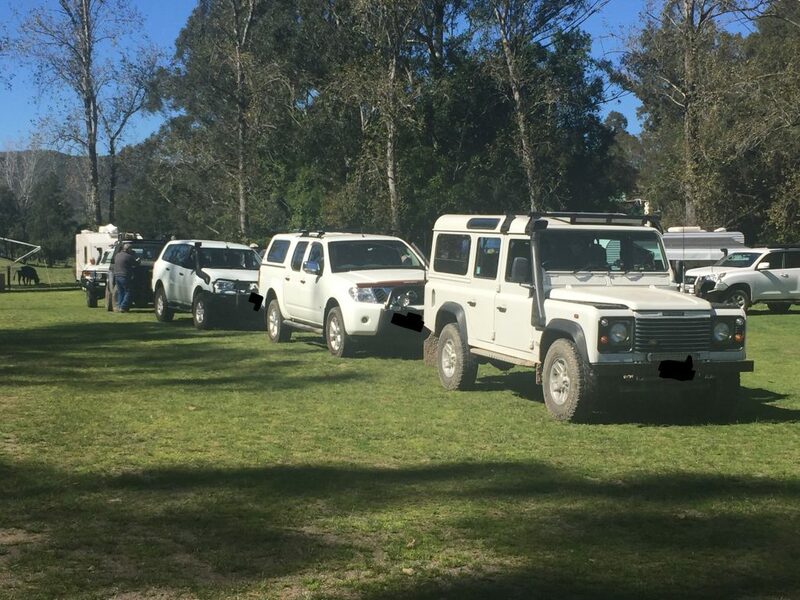 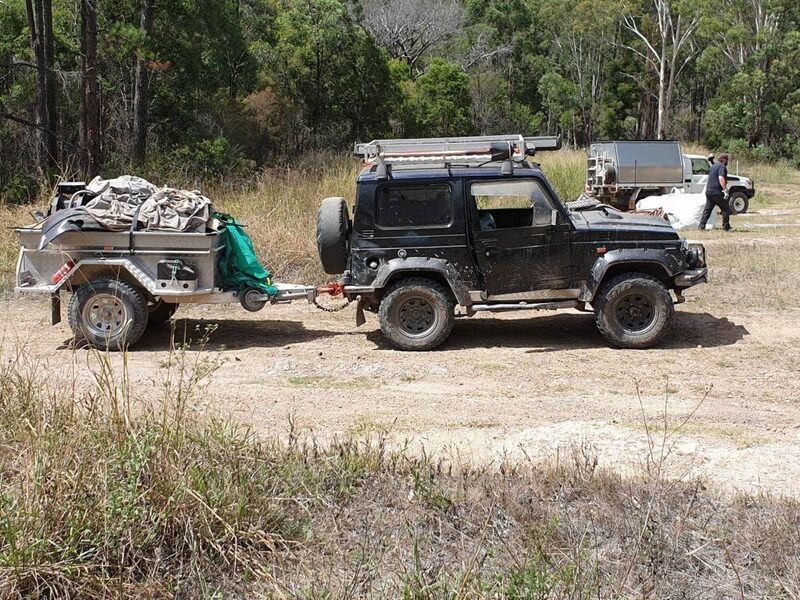 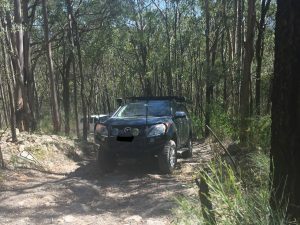 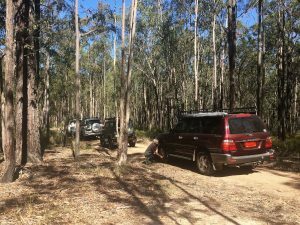 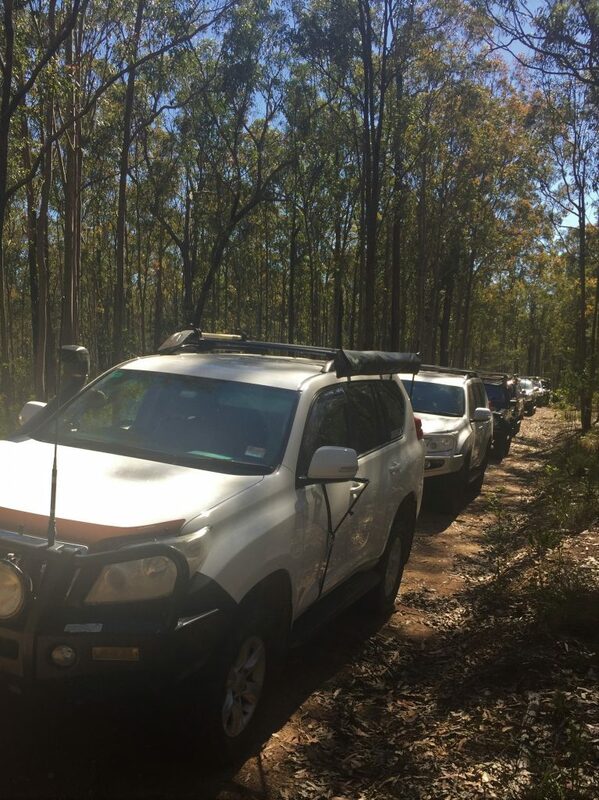 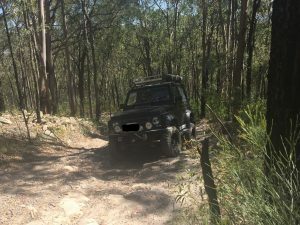 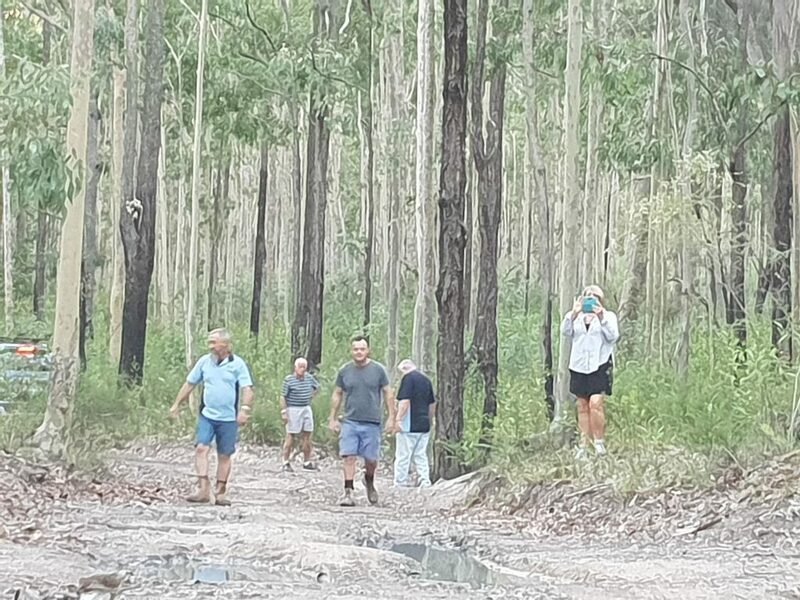 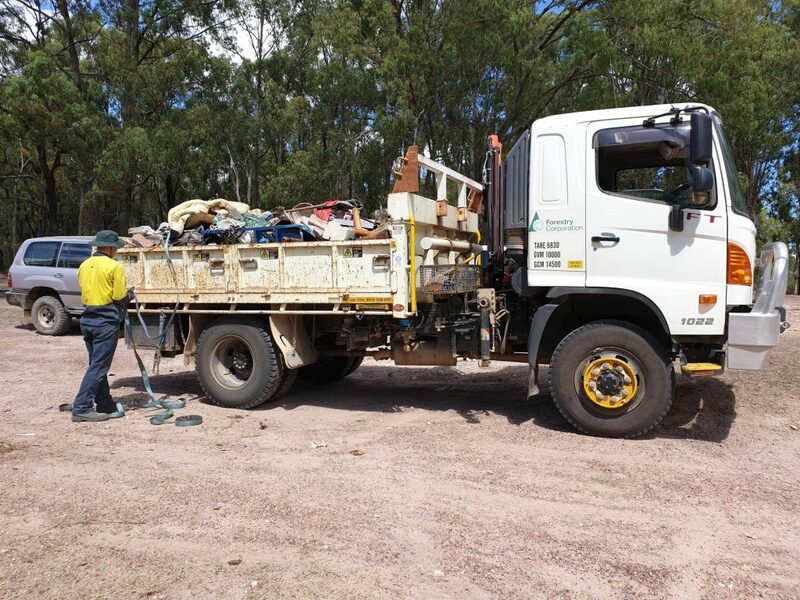 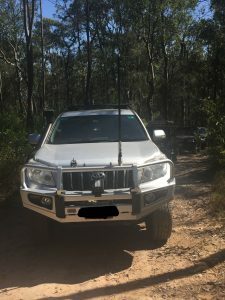 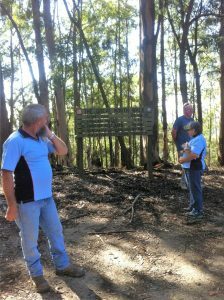 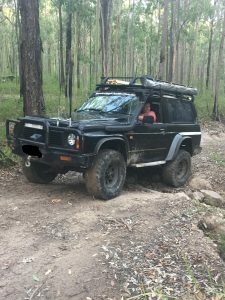 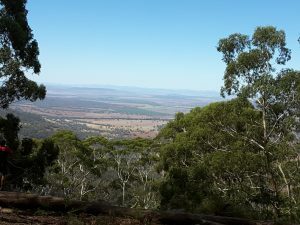 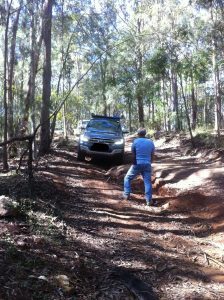 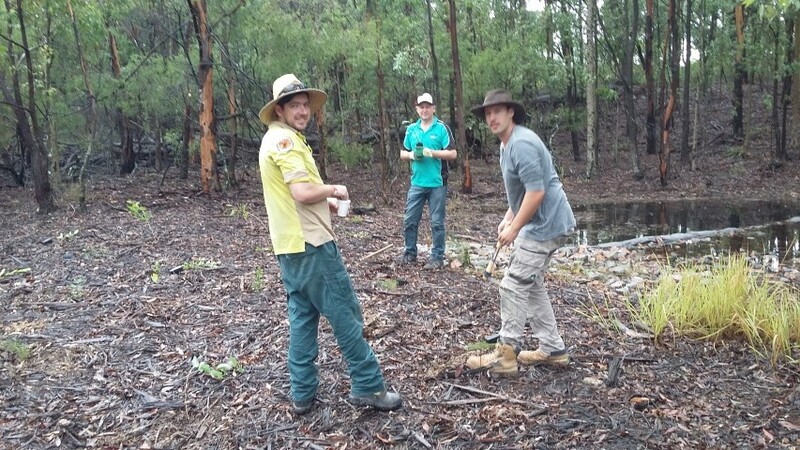 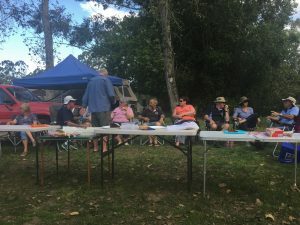 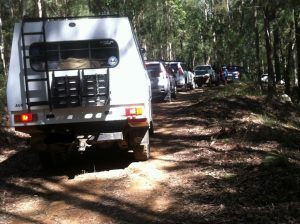 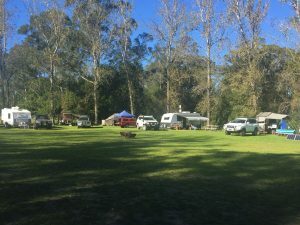 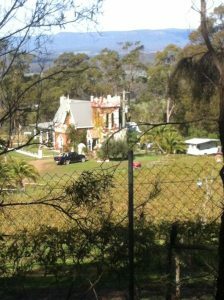 Members and visitors in 10 vehicles enjoyed a Club Trip last Saturday to the Corrabare State Forest. 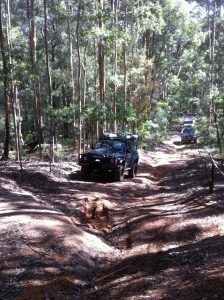 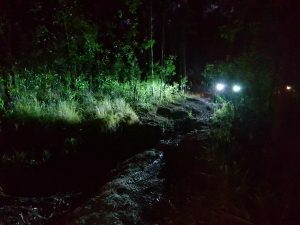 Although track conditions, after rain , prevented access to some areas a pleasant day with some challenges was had by all. 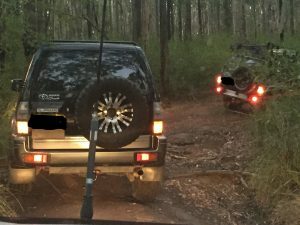 The Club had it’s first night trip for 2019 last weekend. 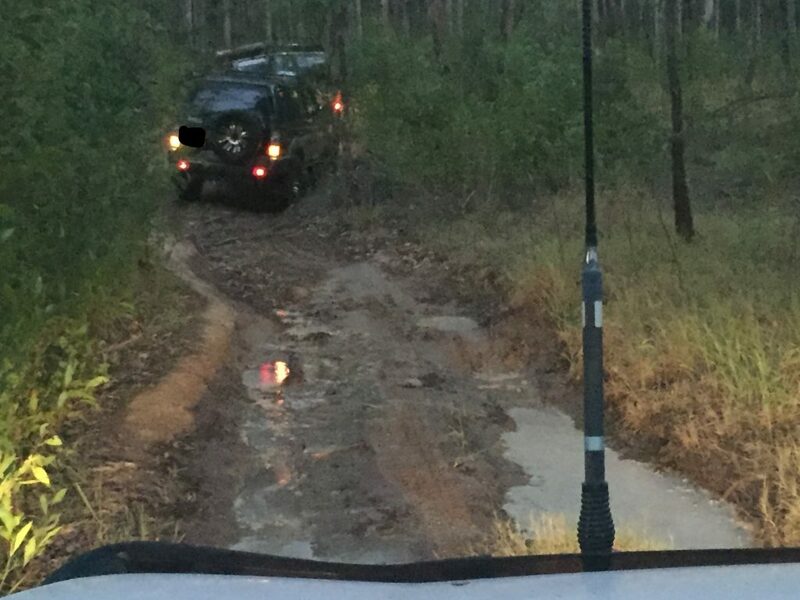 Even after such a hot dry summer there was still a bit of water on some of the tracks. 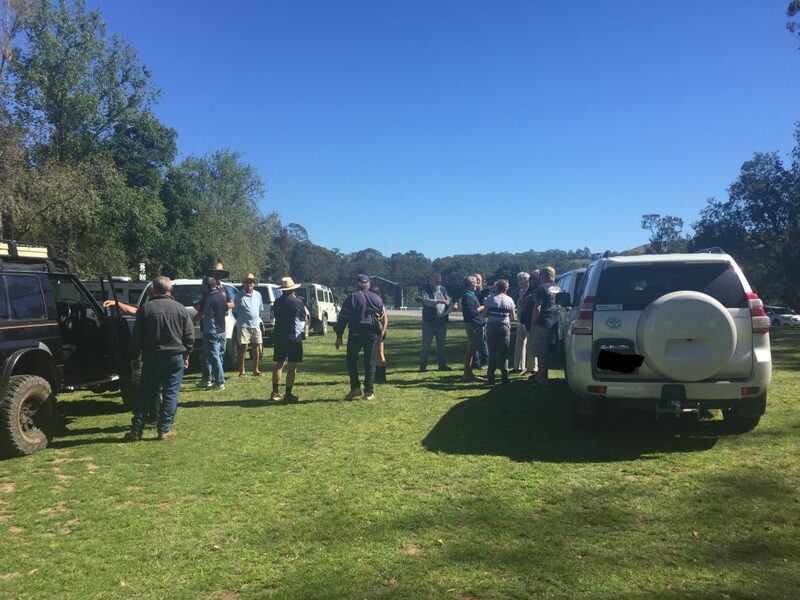 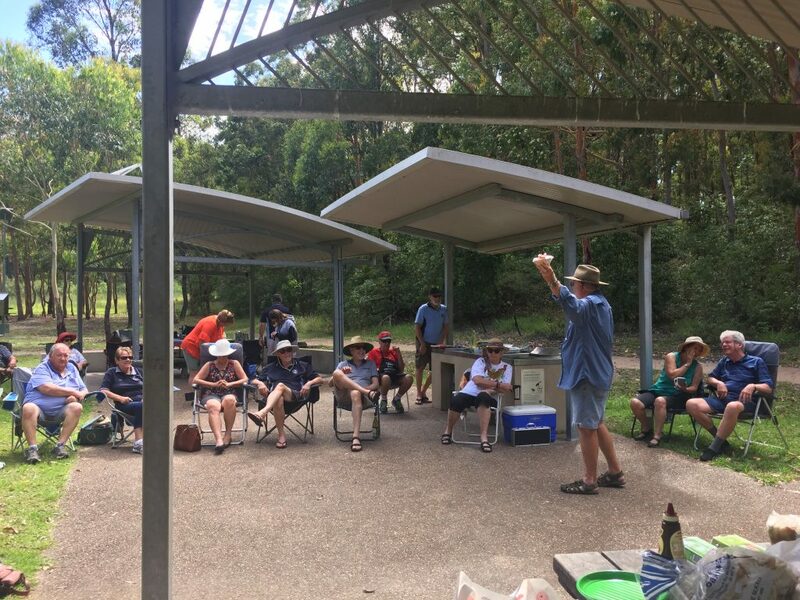 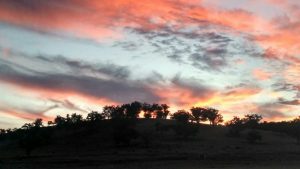 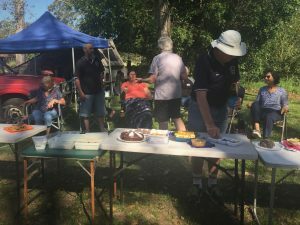 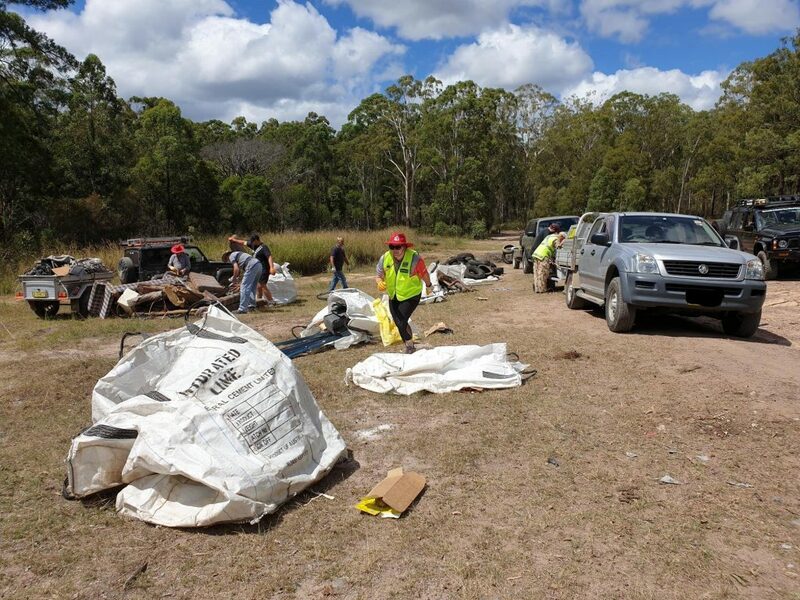 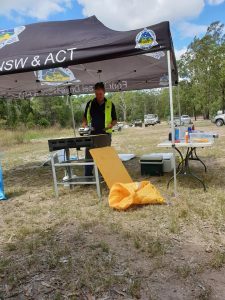 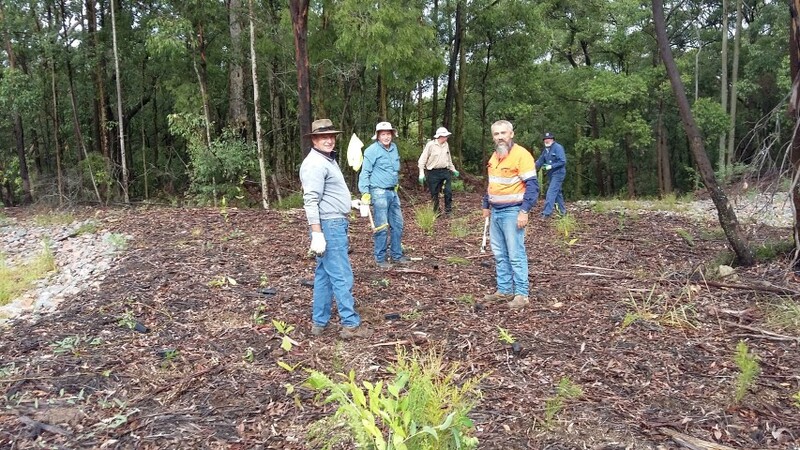 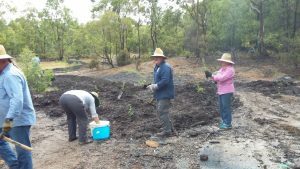 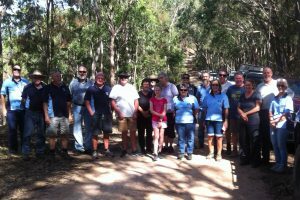 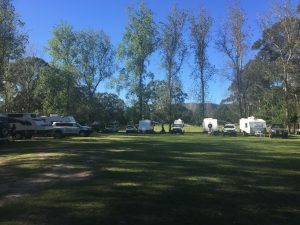 The final event for the year, the Clubs Annual Breakfast was held last Sunday at Bluegum Hills Park Minmi. 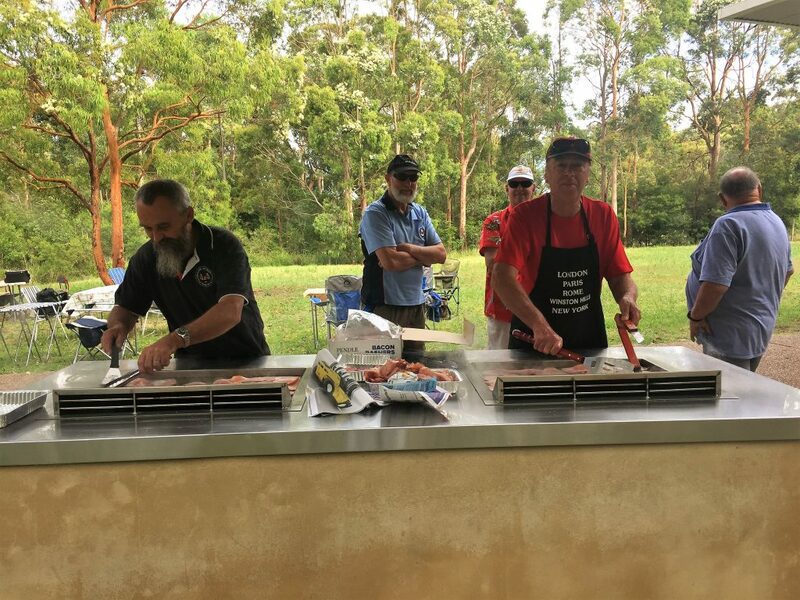 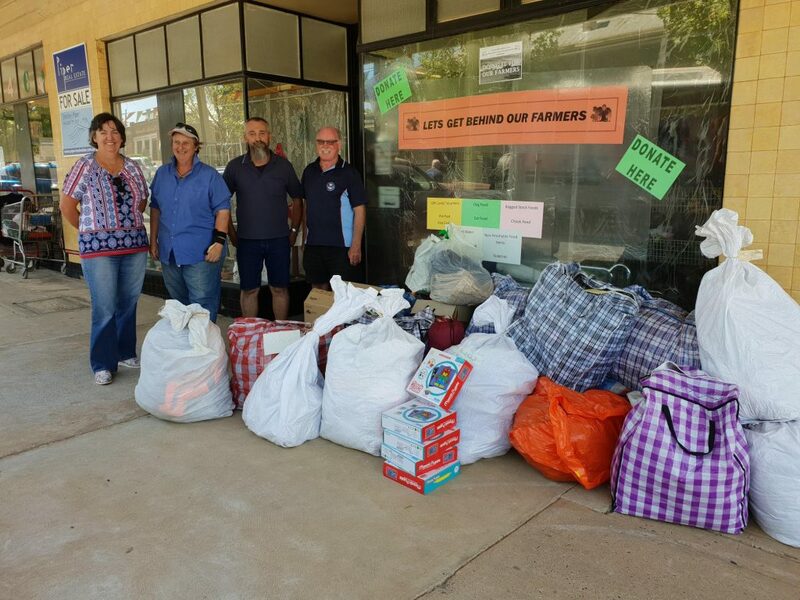 It was well attended with members and visitors enjoying the feast of bacon,eggs,tomatoes and mushrooms that was provided. 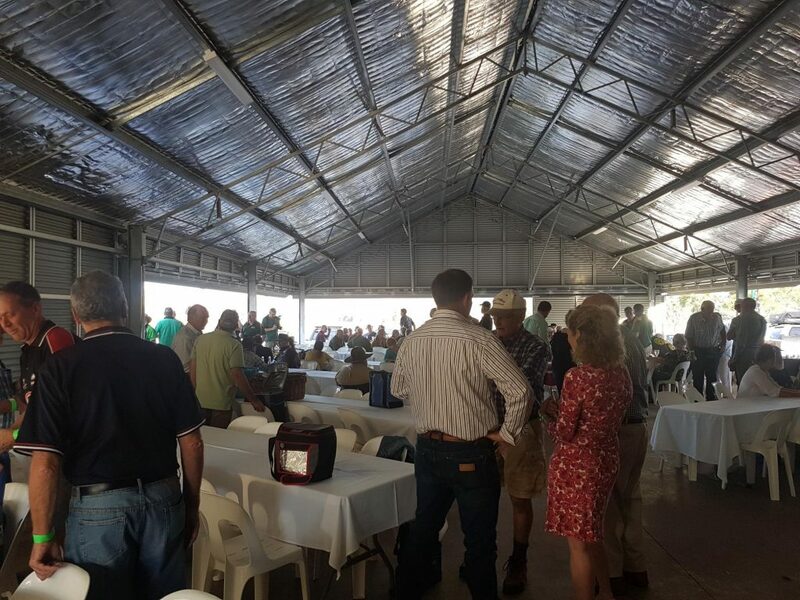 After breakfast the traditional Camp Quality Auction of goods donated by sponsors and club members was held. 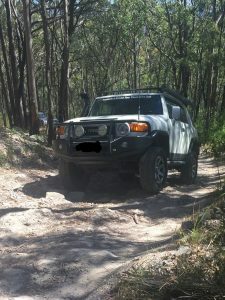 It was great fun as usual. 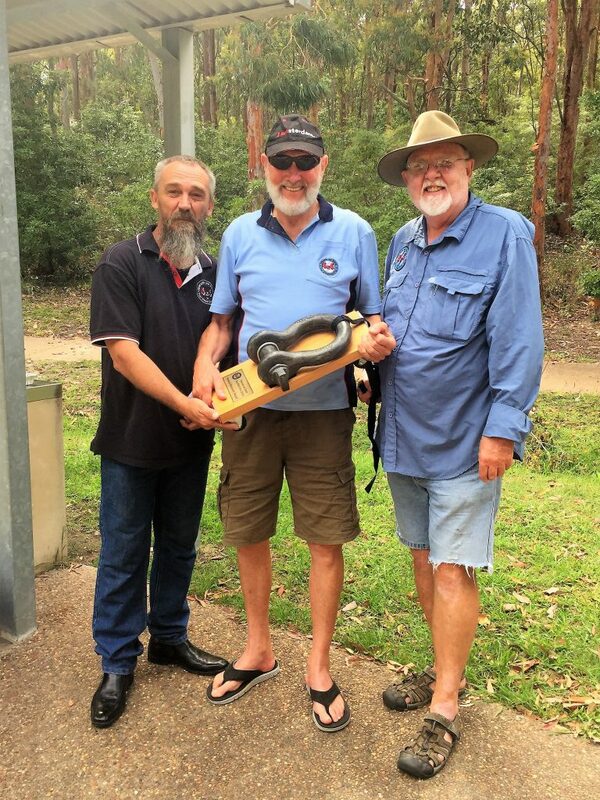 This year the perpetual recovery trophy was awarded to one of our members for his sterling work in rescuing travellers on the Canning Stock Route. 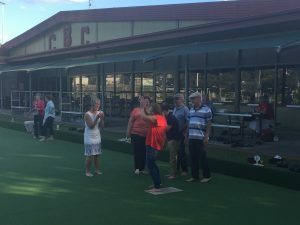 THis year the Clubs Annual Christmas Party was Held at Cardiff Bowling Club. 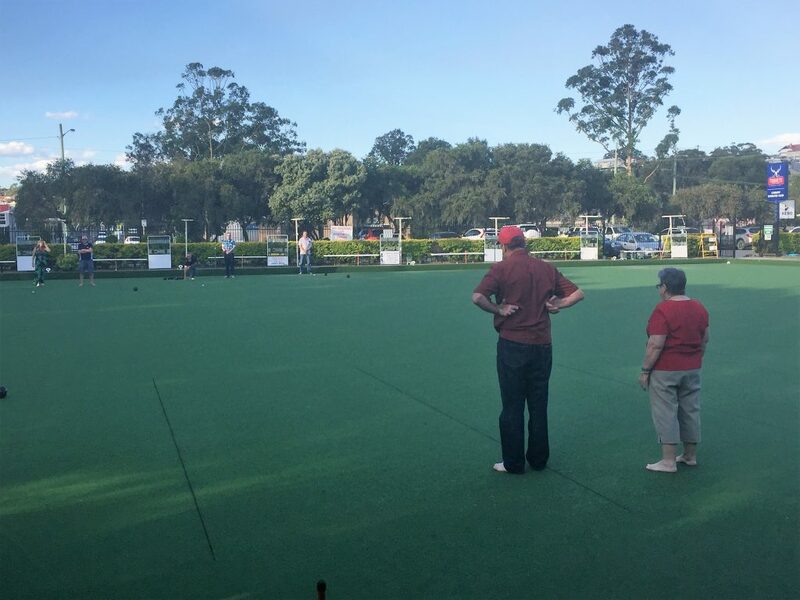 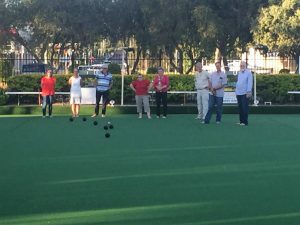 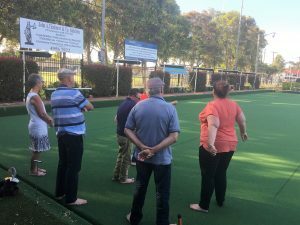 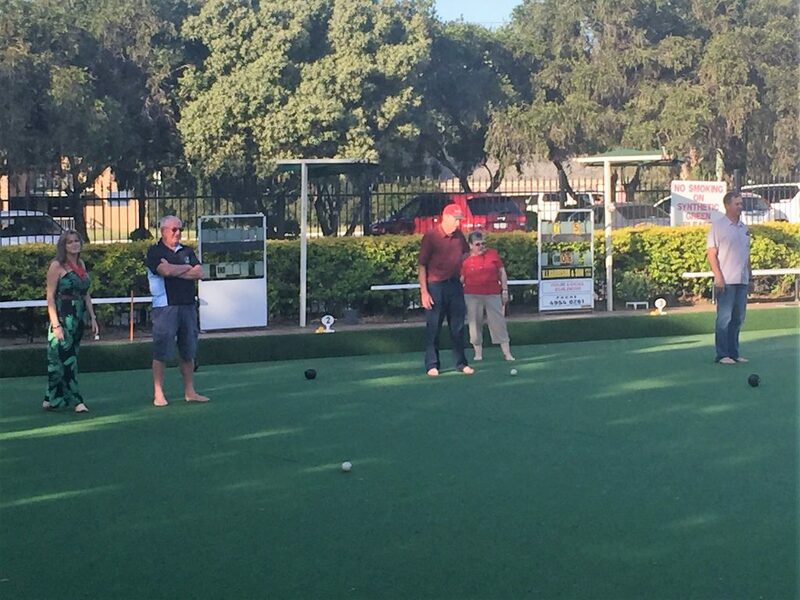 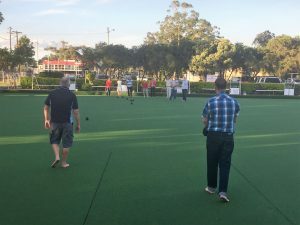 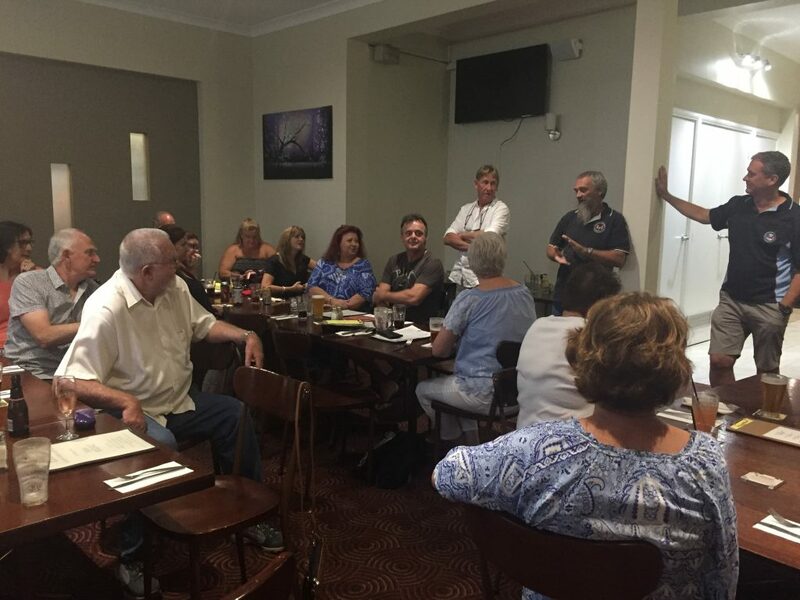 It was well attended by members and visitors keen to join in the afternoons Barefoot Bowls. 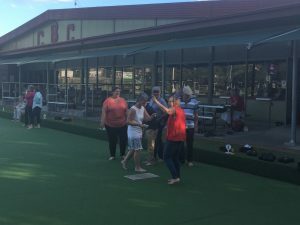 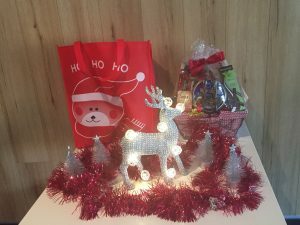 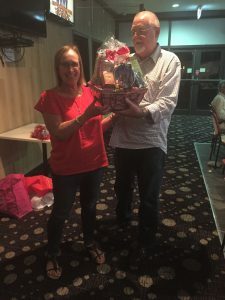 There was a great deal of jovial competition amongst the mainly inexperienced bowlers keen to win first prize Many thanks to the Bowling Club for their help in organising the event and to the Chef for providing a delicious Christmas Dinner. 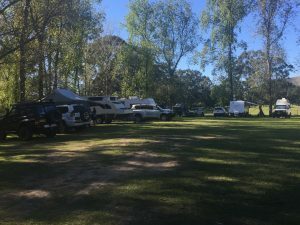 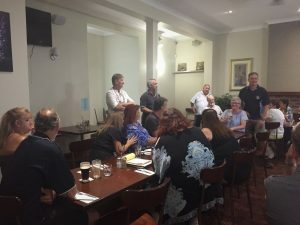 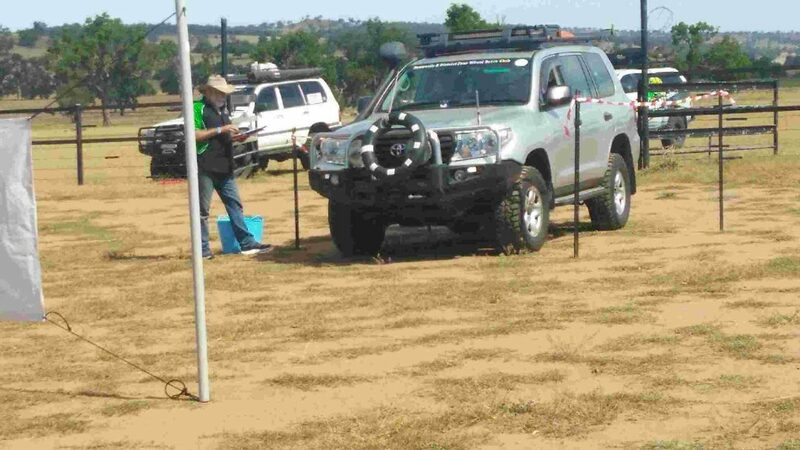 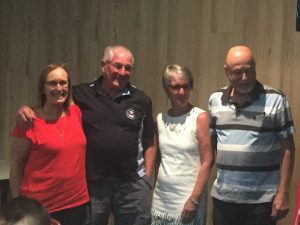 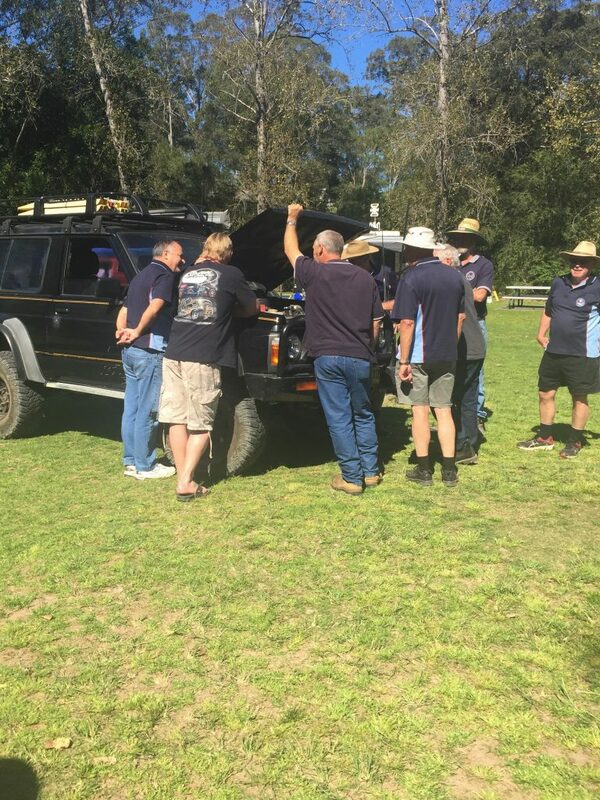 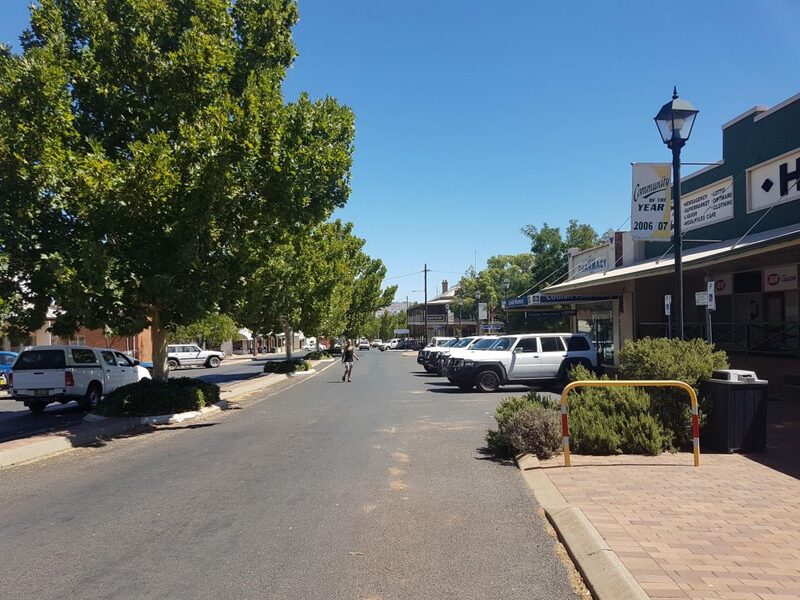 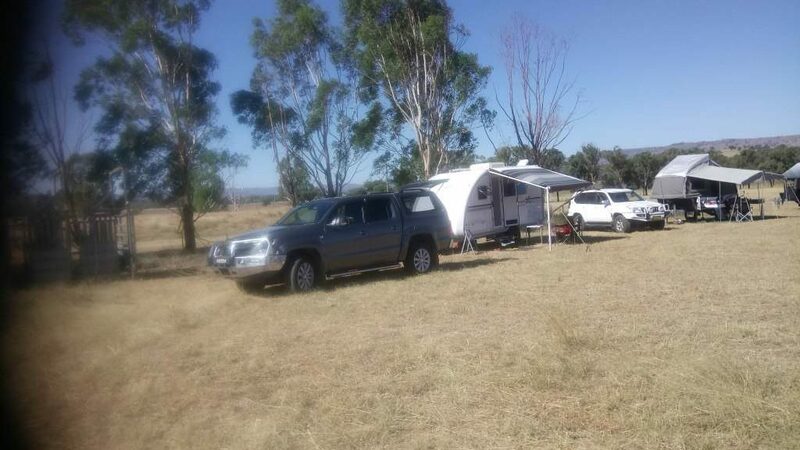 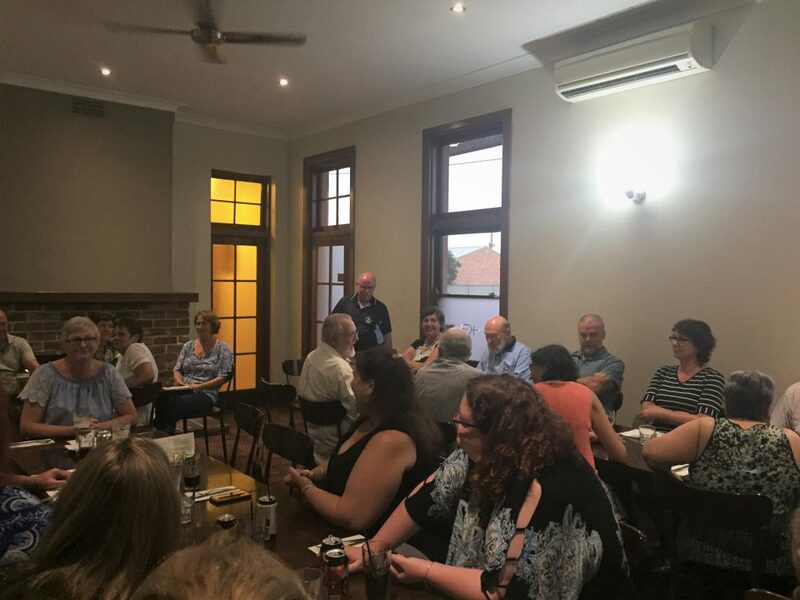 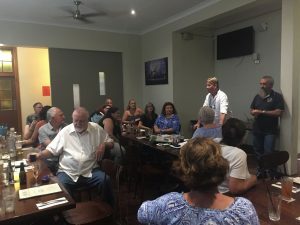 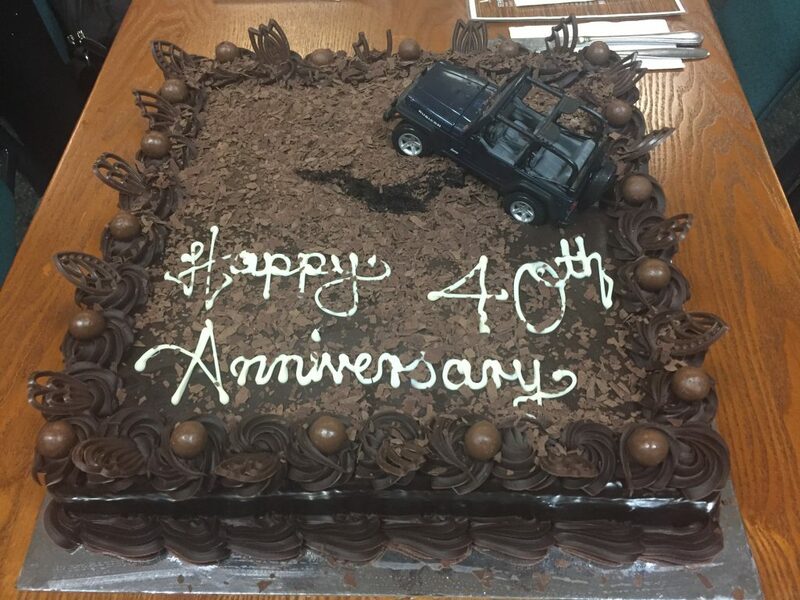 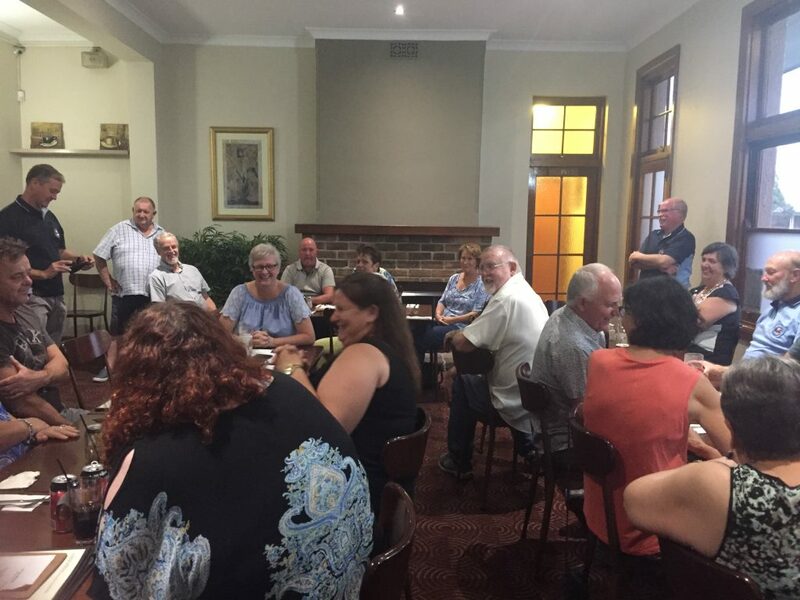 Many past and present members were present for a very enjoyable weekend at Clarencetown to help celebrate Newcastle & Districts Four Wheel Drive Club celebrate its’ 40th Anniversary.